‘What is difference between SFP/GBIC (mini GBIC)? 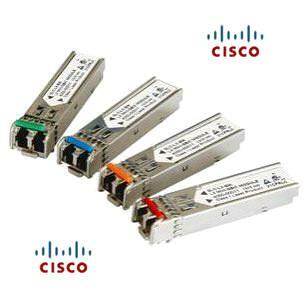 1000BASE-T, LX, LH, SX, etc and SFP/mini GBIC, What these terms stand for?’ ‘When its best to use GBIC and When to use SFP?’ Many users raised the questions related to the main difference between optical modules? So, in the following part, we will some main tips about the difference among the SFP, GBIC, XEP and SFP Plus. XFP stands for “10 Gigabit Small Form Factor Pluggable.” With XFP you will surely experience a fast transmission of data in your computer network including your telecommunication links. XFP emerged in the year 2002 along with XFI, one of its electrical components. It was devised by the XFP Multi-source Agreement Group. XFP is a hot-swappable and protocol independent module. It means that you can replace the component without shutting down the whole system. XFP can be replaced without interrupting the operation of your system. Its usual operation is at optical wavelengths of 850 nm, 1310 nm, or 1550 nm. To be able to install this module in your computer, you should have one of these: 10 Gigabit Ethernet, 10 Gbit/s Fibre Channel, Synchronous Optical Networking at OC-192 rates, Synchronous Optical Networking STM-64, 10 Gbit/s Optical Transport Network OTU-2, and parallel optics links. XFP modules are able to function with just a single wavelength or dense wavelength division multiplexing techniques. SFP module is the abbreviation of Small Form Pluggable. It is also a type of transceiver which can make your signal and telecommunications better than the others. Otherwise known as a Mini GBIC, its function is somewhat similar to the GBIC transceiver though it is smaller in form. SFP transceivers are mainly used in telecommunications and data transmission. These modules can link equipment like routers and switches. It supports other communication equipment like Gigabit Ethernet and Fibre Channel, SONET, SFP Plus, and 10 Gbps data rates. For every type of SFP transceiver, it works with different wavelengths at a designated location or distance. According to Evergreencomm, SX SFP uses 850nm for a maximum of 550 meters, LX SFP use 1310nm for a maximum 10km, ZX SFP could reach 80km. Copper SFP uses a RJ45 interface. The DOM function for an SFP is discretionary. It supports the users to locate the real-time working status of SFP. Summary: Transceivers are essential for wireless communication devices. The most suggested way of transmitting data is to use light-based fiber optics. “XFP” stands for “10 Gigabit Small Form Factor Pluggable” while “SFP” stands for “Small Form-factor Pluggable.” Both modules can provide you greater signal strength in your computer network, and telecommunication links. GBIC (Gigabit Interface Converter) is a hot-swappable Gigabit Interface optical module with SC connector. A gigabit interface converter (GBIC) is a standard for transceivers, commonly used with Gigabit Ethernet and fiber channel. GBIC module is hot pluggable, this feature allows a suitably designed enclosure to be changed from one type of external interface to another simply by plugging in a GBIC having the alternative external interface. SFP, also called mini-GBIC, was designed after the GBIC interface. It is half the volume of GBIC and can be configured double number of ports on the same panel. Other basic functions is the almost the same with the GBIC. In summary, GBIC is larger than SFP. SFP is in prominent use while GBIC is already obsolete. GBIC and SFP are equal in performance. The main difference between SFP and SFP Plus is that the SFP+ is used in Gigabit Ethernet applications while SFP is for 100Bse or 1000Base applications. SFP+ transceivers use the same dimensions of pluggable transceivers in the 10Gbs Ethernet and 8.5Gbs fiber channel with SFP and SFP comply with standards of IEEE802.3 and SFF-8472. SFP plus and XFP are both 10G transceivers, and share the same features with other 10G transceivers. The main difference between them is SFP+ is more compact sized than XFP. The smaller SFP+ transfer the modulation functions, serial/deserializer, MAC, clock and data recovery (CDR) and EDC functions from the module to the motherboard on the card. XFP comply protocol of XFP MSA while SFP plus comply with IEEE802.3, SFF-8431, SFF-8432. The fiber optic transceivers, as the core of optoelectronic device in the WAN, MAN or LAN application, have also developed various types along with the increasing in complexity. 10G transceivers have experienced developments from 300Pin, XENPAK, X2, XFP and finally realized using the same sized with SFP to transmit 10G signals, what is SFP+. SFP, with its advantages of miniaturized and low-cost, meet the demand of high-density fiber transceivers, and now has replaced the XFP and becomes the main stream of 10G transceivers markets.